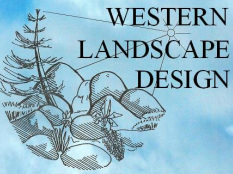 Western Landscape Design has served in a number of capacities through the years. Landscape projects have ranged from new construction to renovation or alteration of existing landscapes in the Clovis / Fresno area. The majority of projects have been residential, although a number of institutional designs and installations were headed up by Casey Crockett, chief designer, on the campus of Fresno Pacific University. We provide full landscape installations, but our services also include landscape design and consultation, and can be limited to aspects of construction such as irrigation sprinkler design, installation or repair, as well as turf replacement or repair.